Autumn/Winter is officially here and the colours this season are amazing. Not only are the colours amazing, but the shapes and the fabrics are too and I'm seeing a real boho chic vibe right now. I'm loving the suede, the lace up details and dark rich colours. They're really up my street and I've found myself often turning to these colours in my make up and am starting to really want to inject this into my wardrobe. I was contacted by Mary Jane Fashion recently to check out their website and I loved what I saw! 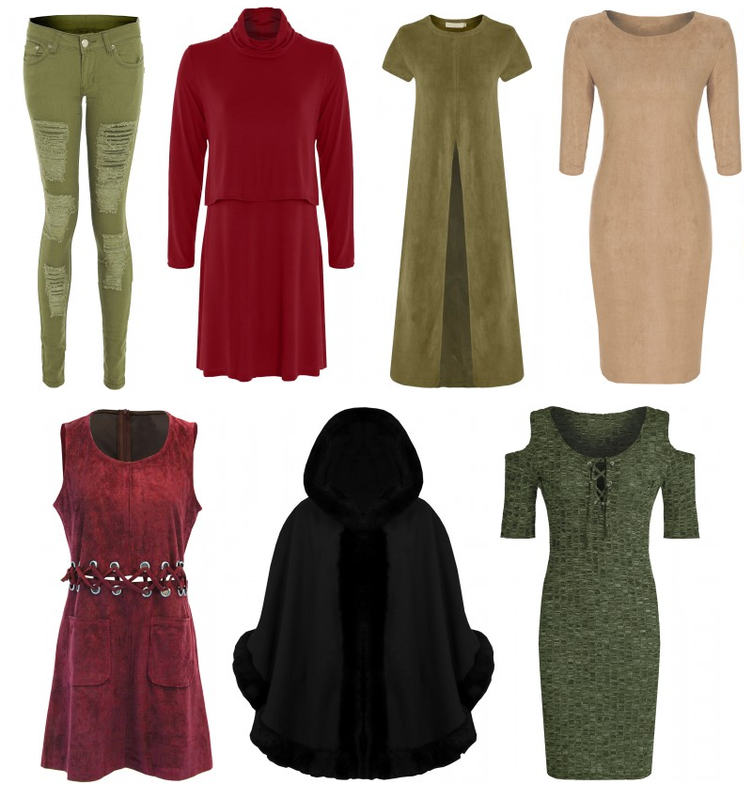 Mary Jane Fashion are primarily a wholesale based company selling these gorgeous products to fashion driven independent businesses selling them these gorgeous on style pieces at a great price. I so although wish they had their own website on the side, because they'd do great selling these gorgeous pieces on their own website aside! I'm not too sure where you can buy these products right now, but I have seen the black poncho online somewhere... I just wish I could remember where! What are your favourite pieces from this wishlist?